Out of all 42 islands within the Ang Thong Marine Park, the island of Koh Phaluai is the largest and the most prominent; located towards the south of Koh Wua Talap. If you love mangrove forests, then visit the eastern shore of this island; featuring some of the best remnants of mangrove forest around. Take a few hours to explore this beautiful forest as there is a lot to see here. 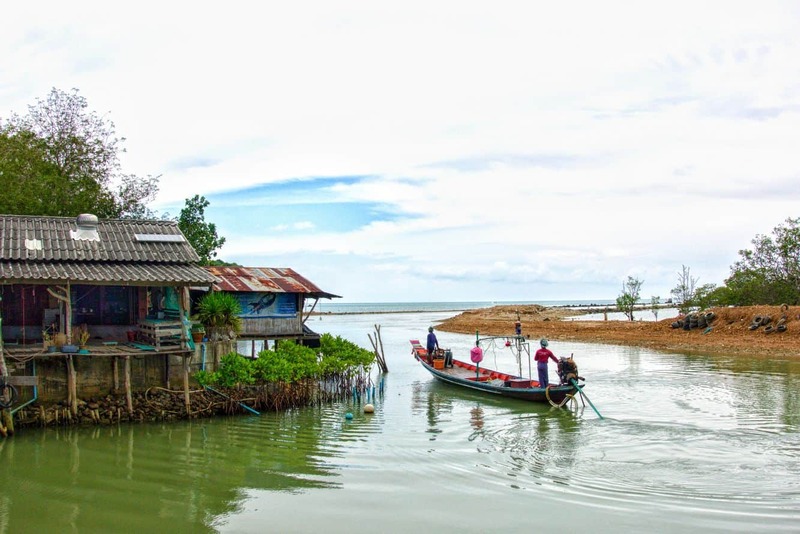 A number of smaller islands encircle the island of Koh Phaluai, with most of the residents of this island earning a living through fishing and farming. Some of the main plantations found in this island include rubber, fruit and coconuts. As fishing is popular here, you’ll find several stalls selling dried squid and mullet – very popular in Thailand. Also you’ll find two small Buddhist temples located here; not that odd, most of the residents are Buddhists. While visiting Koh Phaluai, you can interact with the friendly locals and learn more about their peaceful and simple lifestyle. There are several choices of overnight accommodation available. Although amenities on this island are limited, you’ll simply love staying in this peaceful setting. Guests who are staying in Koh Samui can take an Ang Thong Marine park tour package to access this island. Such tours include hotel transfers, boat rides, snorkelling and sightseeing. Some of these tours also include a light breakfast, drinks and lunch at the Marine Park. How do I get to Koh Phaluai? Is there a ferry? There used to be one ferry per day travelling to Koh Phaluai, though I am not sure if it is still running. The best way to get there is to charter your own boat. You can approach the boats at Nathon Pier and see if any speedboats will take you across. Not sure of the cost, but it is 25kms so will take about 1-2 hours, depending on the boat and driver. Other people go to Koh Phaluai as part of an Ang Thong Marine Park Tour. Check individual tours to see what is included. What accommodation is on the east coast of the island? Is there snorkelling? There is heaps of accommodation on the east coast of the island. As I am not sure of your budget, I have attached a link to the range of accommodation on Koh Samui here. I find the map function the best way to find something in a location and price that you are after. The best place to snorkel is in the Anh Thong National Park and Koh Tao, both you can get to by boat arranged on the day or by special tour operators here.